HIDALGO — As Friday’s opening round playoff game ticked into the final 30 seconds, the Texas Legends’ Jalen Jones unleashed a 3 in transition from the left wing. Texas grabbed the offensive rebound and worked the ball around to Brandon Ashley, who was alone in the right corner and had plenty of time to line up a look at the basket. The two 3-point attempts were Texas’ first chances to pull into a tie with the RGV Vipers since the opening minutes of the first quarter. But both shots clanged off iron, and RGV held on for a 107-100 win at State Farm Arena. The Vipers led from wire to wire, stretching the margin as large as 21 points. Though the Legends pulled within one point on multiple occasions, they never attempted a shot to tie or take the lead until the final 30 seconds. 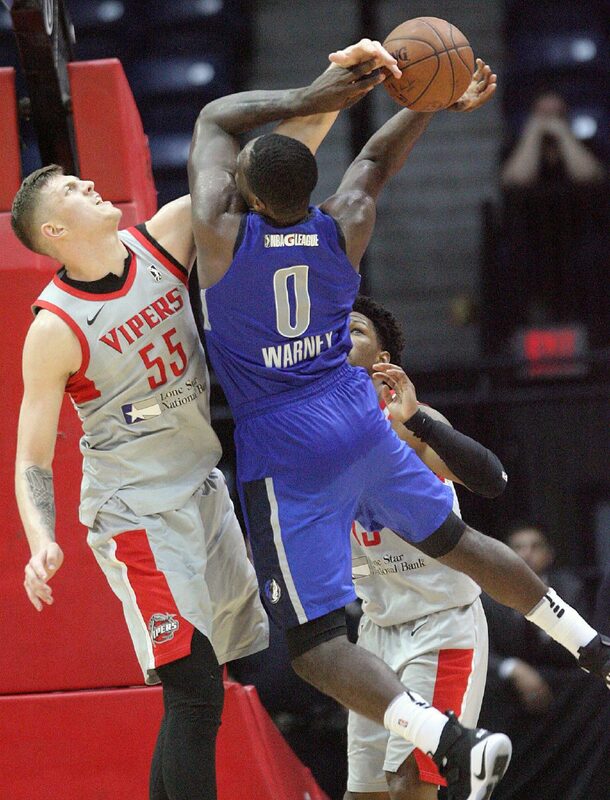 Rio Grande Valley Vipers' Isaiah Hartenstein makes a block on Texas Legends Jameel Warney during the second half of an NBA G-League basketball playoff game at State Farm Arena Friday March 30, 2018, in Hidalgo,Texas. RGV Vipers 107-100. Texas Legends JJ Avila makes a steal agains tRio Grande Valley Vipers' Monte Morris during the first half of an NBA G-League basketball playoff game at State Farm Arena Friday March 30, 2018, in Hidalgo,Texas. 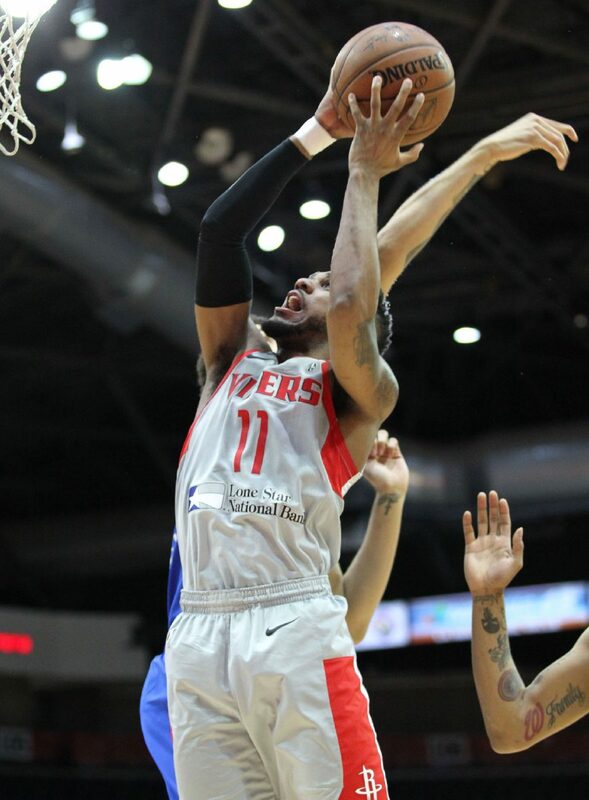 Rio Grande Valley Vipers' Monte Morris drives to the basket against Texas Legends Brandon Ashley during the first half of an NBA G-League basketball playoff game at State Farm Arena Friday March 30, 2018, in Hidalgo,Texas. The Vipers move on to face the Austin Spurs at 6 p.m. Monday at the H-E-B Center in Cedar Park. Austin claimed the No. 1 seed in the Western Conference with a 32-18 record, including wins in three out of four matchups against RGV. The Vipers held the Legends to just 38.6 percent shooting on Friday. Texas had just one stretch of dangerous offense, scoring 31 points on 13-of-19 shooting (68.4 percent) during the first nine minutes of the third quarter. Outside of that burst, Texas hit just 21 of 69 attempts (30.4 percent). Morris led the Vipers with 19 points on 7-of-13 shooting. He also chipped in seven rebounds and seven assists against two turnovers. RGV also had significant bench contributions from Chris Walker, who posted 14 points with nine rebounds, and Cleanthony Early, who netted 10 points. A Denver Nuggets two-way player, Morris said he talked to Brase about moving out of the starting lineup to help the Vipers maintain continuity when he’s not with the team. From the starting group, Houston Rockets two-way player R.J. Hunter scored 18 points on 6-of-18 shooting, Rockets assignment player Chinanu Onuaku scored 11 points with nine rebounds and five assists, and Darius Morris posted 14 points with eight assists and eight rebounds. The Vipers connected on 10 of their first 15 shots to build a 27-12 advantage late in the first period. That margin held for most of the second quarter before RGV went on a late 10-0 run to carry a 55-37 margin into the break. Texas opened the second half on a 16-2 run to pull within four points early in the third quarter. 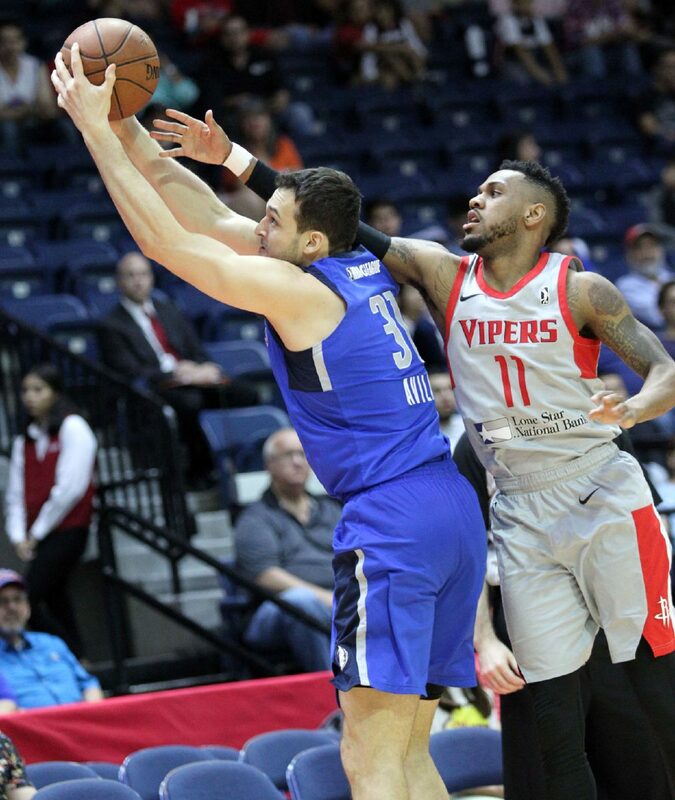 RGV found a scoring surge to stop the run, but the Legends continued their blistering offensive pace, twice pulling within one point of the Vipers. RGV went on a 9-0 spurt early in the final period, building the lead back as large as 87-74. But the Legends continued to hang around and chip away at the lead, setting up the tense final moments.